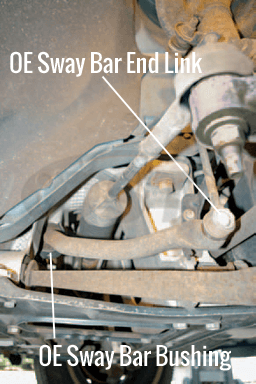 The OE front sway bar end link in your minivan is prone to premature wear due to intrusion. 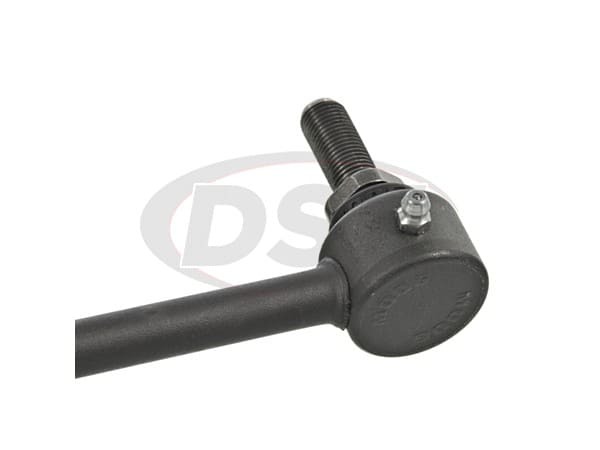 Because of this, the metal ball stud can corrode quickly, abrading the bearing surface. 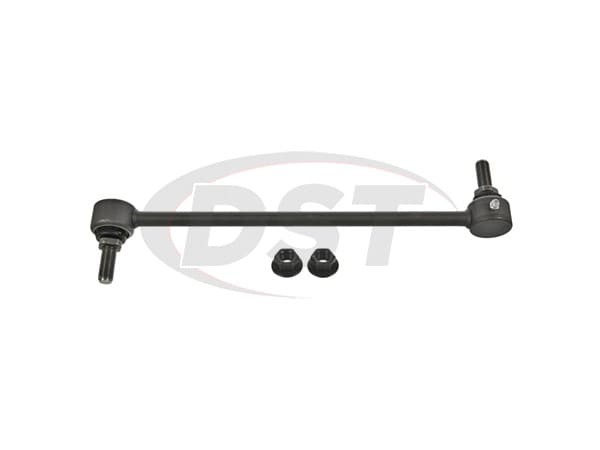 Once the metal ball stud has started corroding, the socket begins to loosen allowing excessive movement (and the rattling/knocking you hear) in the front end of the vehicle. Here at DST we understand how frustrating this can be and we can help put an end to your suspension headache with Moog Problem Solver K7258. Moog's line of problem solver parts target factory defects or poor original design, replacing them with a better more durable part. 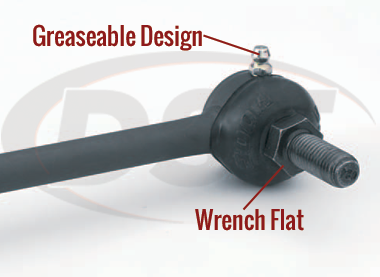 Moog engineered this front sway bar end link with a durable, all metal design that is not prone to OE plastic design failures: K7258. Moog Problem Solver K7258 was designed with a greaseable construction to reduce friction and flush out contaminants. 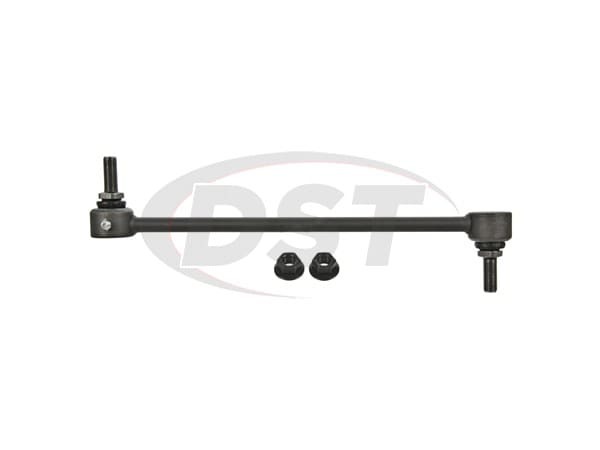 A metal stud with full ball configuration provides 360 degrees of smooth, even rotational movement for more responsive steering. An all metal "gusher" bearing design was added to allow lubricant to penetrate bearing surfaces for longer life. Let us ship K7258 out of our Stephenville warehouse to you today! starstarstarstarstar" Better Than Original Part "
Went on easy, seems better put together & has a grease fitting. Very easy to install and maintain, well thought out product and top quality . Do the Moog endlinks need to be greased or are they already greased? Moog endlinks have a small amount of grease in them to keep them from ceasing up while they are waiting to be sold. Once you install them you will need to grease them the rest of the way and then with each oil change.